Being, one of the most reputed firms in these industries, we are bound to offer an extensive array of Non Woven Machine Spare Parts to our treasured clients. These products are highly reliable, strength and durable, and hence broadly demanding. We use modern machinery and cutting-edge technology to develop these products. Patrons can easily buy these non woven machine spare parts from us at competitive prices. We are the leading stockists for 300 mm (12 inch),350 mm (14 inch), 240 mm (9.5 inch) ultrasonic aluminium and iron horn. We can supply ultrasonic horn for nonwoven bag making machine for all inches. We are having iron and aluminium ultrasonic horn for nonwoven bag making machine. We are the leading and prominent Manufacturer, Importer and Exporter of Non-Woven Machine Spares. Owing to the expertise of our skilled professionals, we are able to supply our client’s high quality DC Drives. The offered drives are used to install in nonwoven machines to control speed. Our provided drives are manufactured by our talented professionals at our technically sound manufacturing unit using optimum class material as per the predefined industry standards and norms. These drives are properly examined by quality controllers on different parameters to ensure their functioning. Driven by technical excellence, we are counted as the topmost supplier of excellent quality range of Static Pipe With Static Box which is used to install in nonwoven machines. Using high class raw material and innovative methodology, this pipe is manufactured by our skilled professionals in adherence to set industry standards. To ensure its flawless nature, this pipe is carefully checked on different measures of quality. This pipe is highly demanded by our clients for its easy installation and optimum finish. 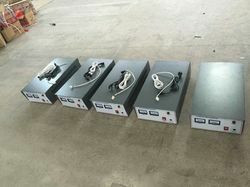 To retain our goodwill in clients' consideration, we are offering an excellent range of Power Board For Ultrasonic Box. Making use of quality assured components and pioneered technology, the offered board is manufactured under the stern vigilance of adept workforce with utmost care and perfection. In order to ensure its easy installation, our experts inspect the entire range on numerous parameters. This board is made available in the market at an affordable price. 14 inch ( 350 mm ) horns. We are the leading stockists of ultrasonic frequency generator box 20 KHZ that is used for making d-cut and w-cut in fully automatic nonwoven carry (cloth) bag making machine. We have the following specifications of stepper drive and stepper motor that suits all the fully automatic nonwoven bag making machines in india. 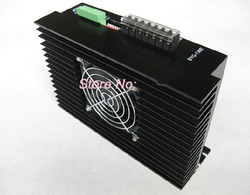 1) Nishine 130 E Three Phase Hybrid Stepper Motor Driver. 2) Nishine Byg - 35 A Three Phase Hybrid Stepper Motor Driver. 3) Zy - B3 Three Phase Hybrid Stepper Motor Driver. 4)hd-b3c Three Phase Hybrid Stepper Motor Driver. 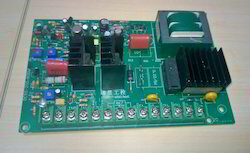 5)130a Three Phase Hybrid Stepper Motor Driver. 5) 130 Byg Three Phase Hybrid Stepper Motor. 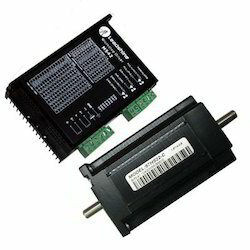 6) 110 Byg Three Phase Hybrid Stepper Motor. 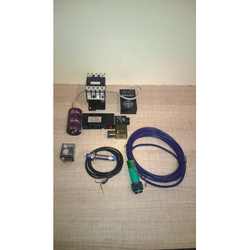 7) 90 Byg Three Phase Hybrid Stepper Motor. 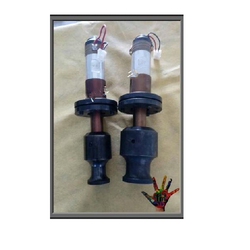 We are leading stockists for all types of ultrasonic booster and horn for D-cut and W-cut round horns. 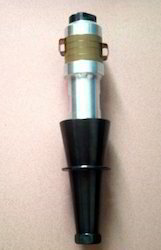 Our D-cut and W-cut horns are of high quality and highly reliable. We have Ultrasonic welding round mould horn of diameter 50 mm ,60 mm diameter and 70 mm diameter round horns. 10)soyo Stepping Motor 130byg350b Three Phase Hybrid - 5a , 50 N.m Angle 1.2 Degrees. We have the following transistors used in ultrasonic boxes C 4327, C3552 , C5570 , C 5445, C3998 , J6820. We having all equivalent NPN transistors for ultrasonic boxes. Looking for Nonwoven Machine Spares ?